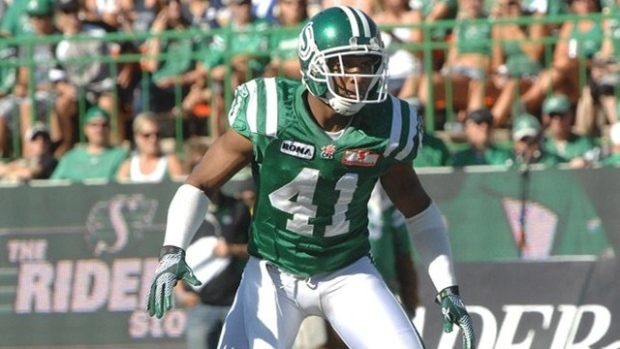 The Saskatchewan Roughriders signed safety Tyron Brackenridge to a contract extension on Monday. Brackenridge, who was eligible to become a free agent next month, will return for his fifth season after originally signing with the team as a free agent in 2011. He also re-signed with the Riders as a free agent in 2013. Last season, the California native collected 64 defensive tackles, ten special teams tackles, three interceptions, three forced fumbles, three tackles for loss, two quarterback sacks and one blocked field goal in starting all 18 regular season games. He was named a West Division and CFL All-Star for the second time in his career and second consecutive season. For his career, the 30-year-old Brackenridge has recorded 196 defensive tackles, 16 special teams tackles, nine interceptions and two quarterback sacks in 59 career regular season games. He won his first Grey Cup in 2013 as a member of the Riders.